City and Village will show us parts of London that perhaps we don’t know about. 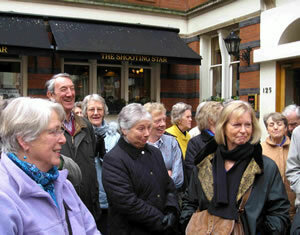 We will walk through a part of London settled successively by the Huguenots, the Jewish and Bengali communities. A short drive in the coach, then a walk through Soho and China Town. 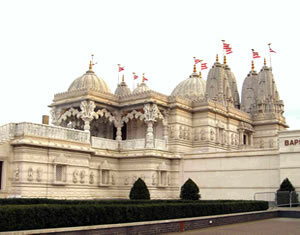 In the afternoon you will be asked to remove your shoes, as we visit THE Swaminarayan Mandir, (spiritual home to the Gujerati community), which has been described as the 8th wonder of the world by the Reader’s Digest! A French Renaissance-style chateau built in 1870 for Baron Ferdinand de Rothschild, to house his superb collection of 18th century art treasures. 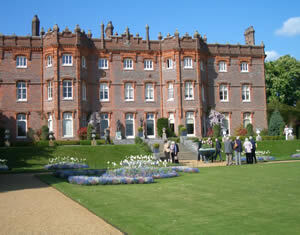 It has one of the finest Victorian gardens in Britain, an Aviary and Wine cellars. This visit follows the lecture in April. Visit Historic warships, The Ropery and The Museum of the Royal Dockyard – full of rich maritime history and relics.